Instagram reps today said that 38 million people engaged with the app's Super Bowl-related content 155 million times on Sunday. Indeed, the visual platform is becoming an increasingly important communications channel for consumers—and marketers are meeting them there. So how did Big Game advertisers do on the Facebook-owned app? To find out, social-media vendor Engagement Labs compared brands' data from the week leading up to the game and their traffic on the app last night. The Toronto-based company's numbers are comprised of three stats—engagement, impact and responsiveness. Engagement stats measure likes, comments and clicks. Impact logs how many people saw the content either organically or through paid ads. And responsiveness clocks marketers' speed, quality and rate of response to followers' comments. Based on those three pieces of criteria, brands were given an "eValue" score between zero and 100. Each score is benchmarked against Engagement Lab's database of 100,000 brands' posts. 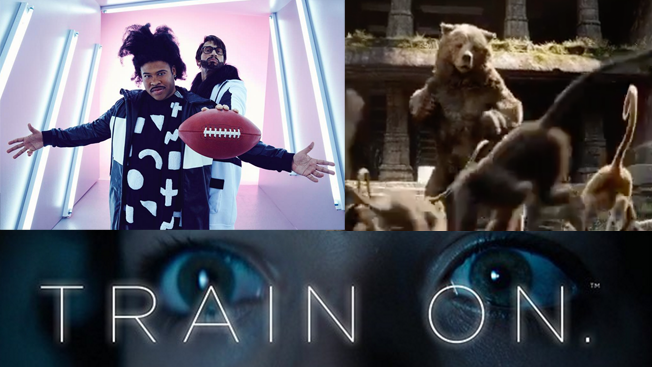 Here's a quick look at how the top five Super Bowl advertisers used Instagram, and their respective scores. The brand released its full commercial before the Super Bowl, asking fans to spot references to Pokemon in the spot and comment on Instagram. Once the ad aired on TV, the film studio posted a link to the full trailer on its Instagram page. Walt Disney Pictures also used the platform to post a series of trailers leading up to the game. This Sunday, witness something wild. Here's a sneak peek at the new spot for The #JungleBook that will air during the Big Game. Squarespace scored particularly high for engagement on posts featuring comedy sketch artists Key & Peele. For example, the first video that it posted six days ago with Key & Peele garnered 1,731 likes and 171 comments. The website domain company posted a total of four posts with the comedians. Can these guys keep a secret? Maybe. #RealTalk See what Lee and Morris are up to through our profile link. Although the financial startup only has 2,570 Instagram followers, its fans actively commented on and liked its content. According to Engagement Labs, part of the brand's success is attributed to the fact that its product—financial loans and services—serves a niche market. While Acura scored relatively low in engagement, the quantity of posts trumps other brands. The car maker is promoting a Super Bowl sweepstakes on Instagram that encourages folks to comment on a Facebook video for the chance to win an Acura NSX sports car. Over the past two weeks, the brand has posted 11 photos about the NSX car.